The American Health Council is proud to elect Dr. Miguel Medina III, Director of Microsurgery MCI: Plastic Surgery, Microsurgery, and Craniofacial Surgery at Baptist Health South Florida, to its Board of Physicians. With 13 years in the healthcare industry, Dr. Medina shares his ample expertise in Medicine and Aesthetic/Cosmetic Plastic Surgery (Pediatric Craniofacial, Reconstructive Microsurgery, Facial Plastic). He is a Board-Certified Plastic Surgeon, obtaining his MD from UNC Chapel Hill School of Medicine (2004), Dr. Medina also holds a Fellowship from Johns Hopkins University (2014), a Plastic Surgery Residency from the Harvard Program (2013), and has held an Internship at Massachusetts General Hospital. He cites becoming involved in his profession due to his ability to make people feel whole again and attributes his past and present success to a strong work ethic instilled by his parents. At Baptist Health South Florida, Dr. Medina participates in daily responsibilities, including performing breast reconstruction, free tissue transfers, and facial/nasal surgery. Dr. Medina has been garnered as a Ten Best Physicians in Plastic Surgery in 2017 and has been honored with a Harvard 2013 Resident Teaching Award. 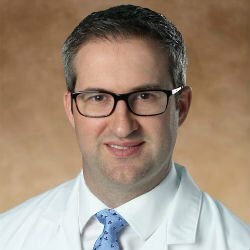 He is a member of the American Society of Reconstructive Microsurgeons and is proud of his various peer-reviewed publications on topics ranging from Craniofacial Reconstruction, Flap Reconstruction, and Fat-grafting, among others. Looking back, he is proud of his continuous career success and ever-supportive family. In his spare time, Dr. Medina enjoys water sports, snowboarding, and exercising his fluency in Spanish. He also participates in missionary work in Haiti. Established in 1990, Baptist Health is a dynamic blend of leading-edge medical care and old-fashioned commitment to the community. Headquartered in Coral Gables, Baptist Health is South Florida’s largest faith-based, not-for-profit healthcare organization. Its network of services extends throughout Miami-Dade, Broward, Monroe and Palm Beach Counties, with Baptist, Baptist Children’s, South Miami, Homestead, Mariners, Doctors and West Kendall Baptist Hospitals; outpatient diagnostic and urgent care conveniently located at Baptist Health Medical Plazas; and surgical facilities.